GIVING KIDS INDEPENDENCE: Kids are always eager to do things on their own. 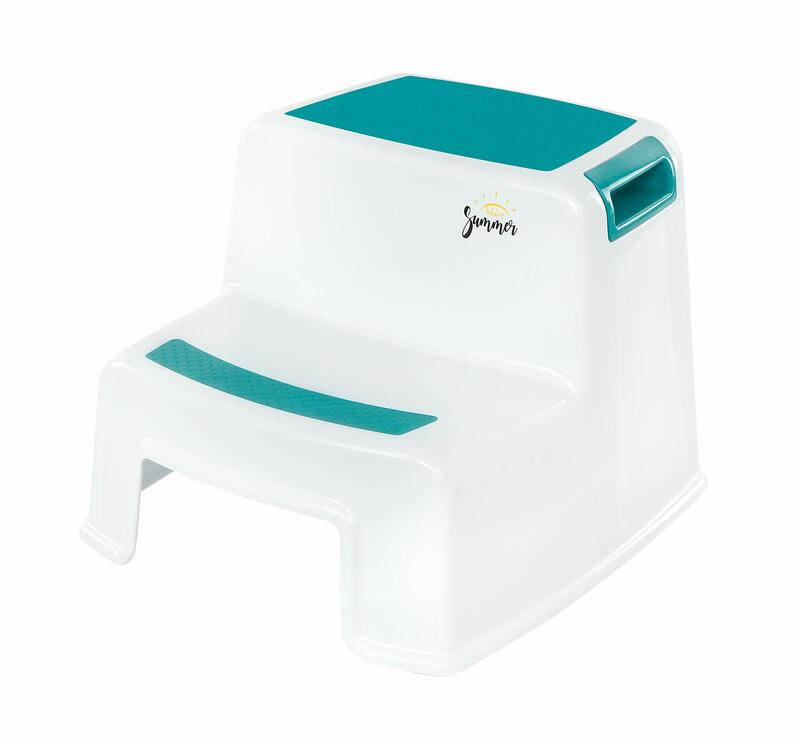 From toilet and potty training, brushing their teeth, and helping out in the kitchen, your kids will love our stool to give them their independence. SAFETY DOWN TO THE DETAILS: Your Kids safety is our top priority! We only use non toxic materials that are BPA free. Ashley Summer stool for kids features an upgraded new slip-resistant design that provides a secure surface on all floor types. 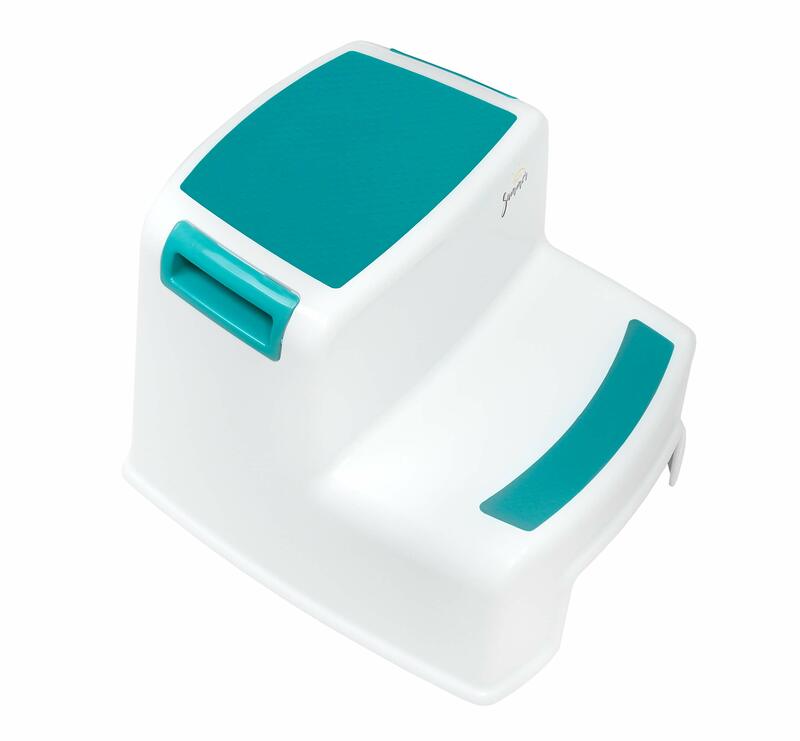 It also has soft grip steps, giving little feet the comfort and support they need. Adult supervision is required for kids 3 and under. 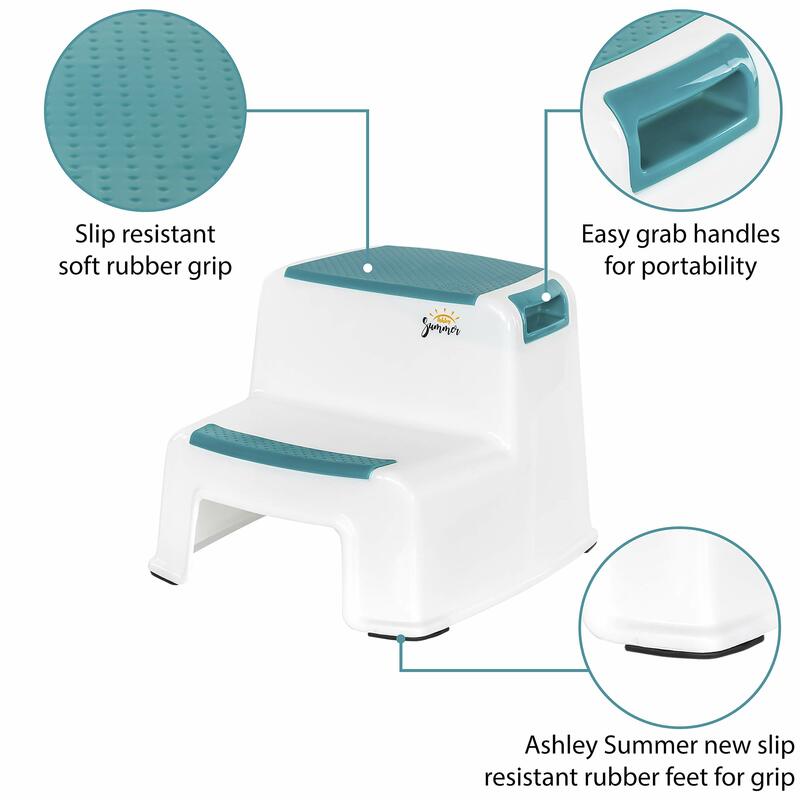 SAFE, STURDY & VERSATILE: Ashley Summer two step stools uses our new upgraded slip resistant rubber feet to grip floors, can be use on different flooring such as tiles, woods, and laminates. Our custom Teal soft grip rubber surface provides an optimal level of comfort, safety, and secure footing for your child. 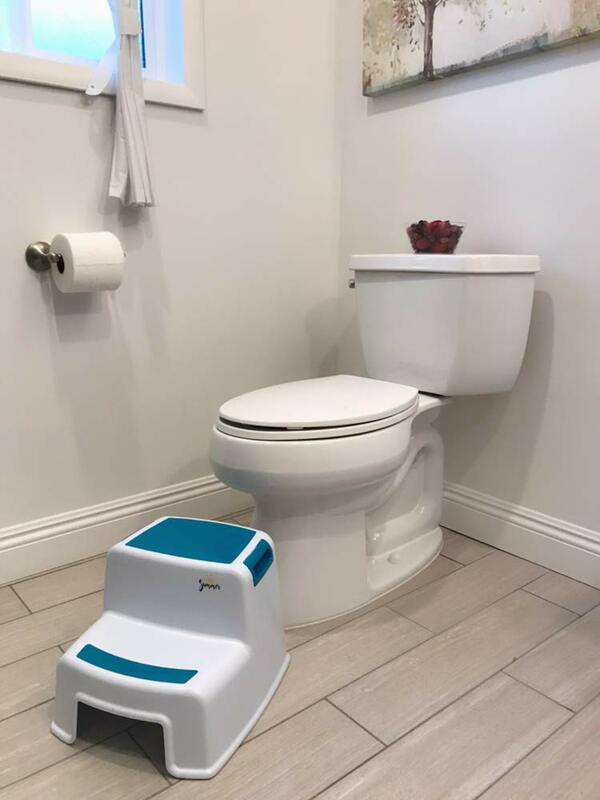 These toddler stools are versatile and can be used in bathrooms, kitchen, and anywhere kids need a little boost. 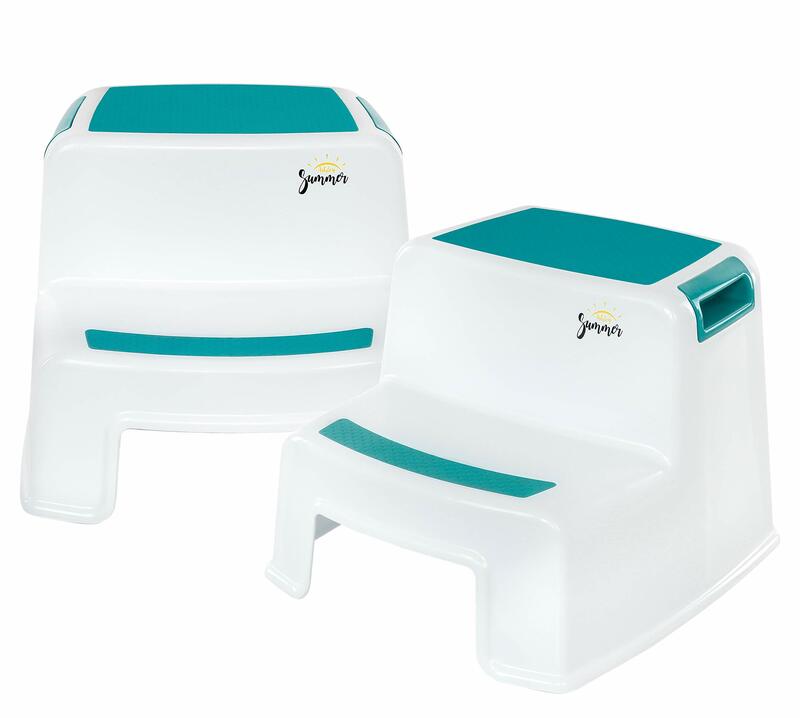 2 step stools for kids – This is the best value for your money! And because most home will need more than just one step stool. 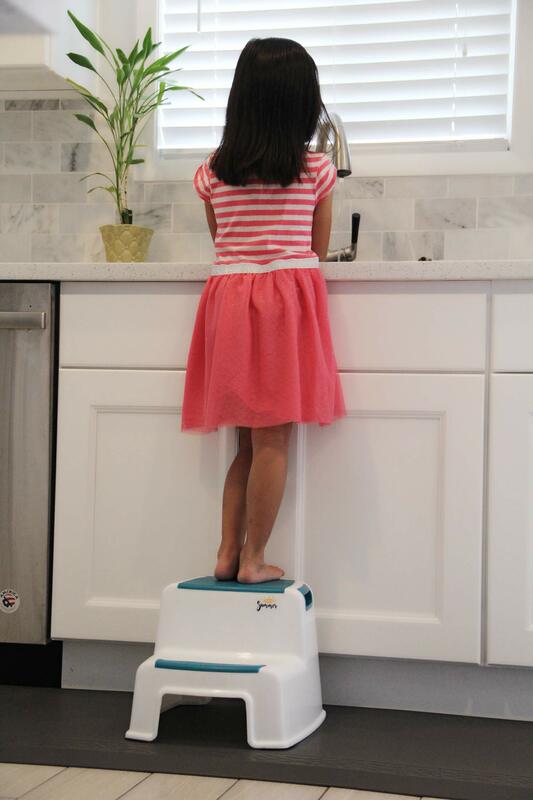 These Kids Step stool can be used in bathrooms for toilet training, and kitchen for hand washing and helping out, and anywhere in the home when kids need an extra boost. We are a U.S. based company and understand that your kid’s safety is top priority! We only use non toxic material that are BPA free. 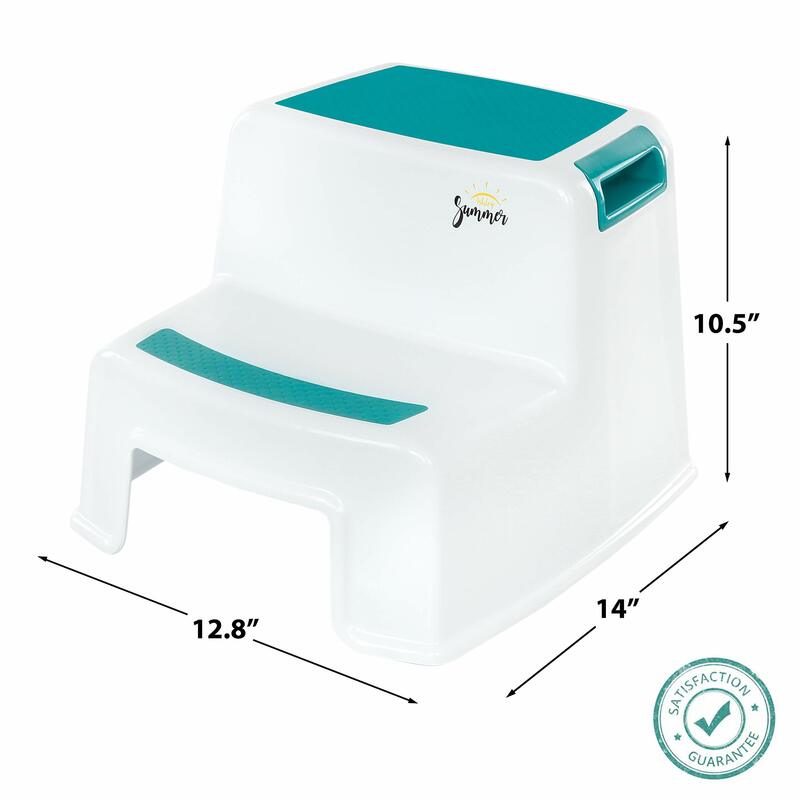 Ashley Summer stools for Kids uses our new upgraded slip resistant rubber feet to grip floors. Our custom TEAL soft grip rubber surface provides comfort, safety, and a secure footing for your child. Our stylish stool for toddler’s design will look great in any house and our custom neutral TEAL color is a hit with all kids. 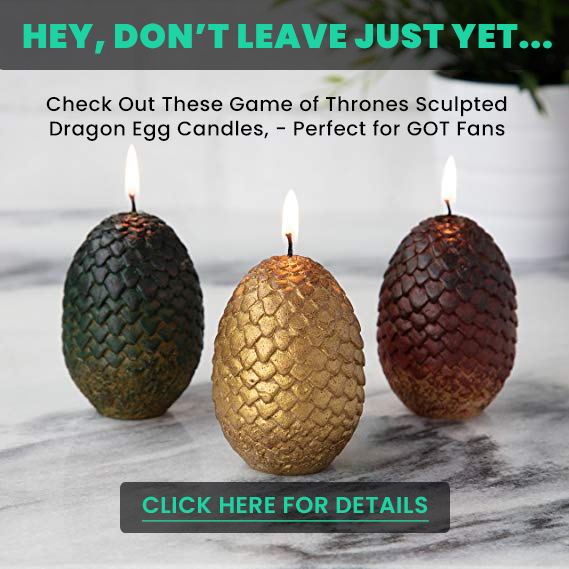 Love them or we’ll buy them back guarantee! No questions asked. Stool Dimensions: 10.5” High x 12.8” Wide x 14” Deep. The 1st step is 5.5” High and 5.5″ Deep. 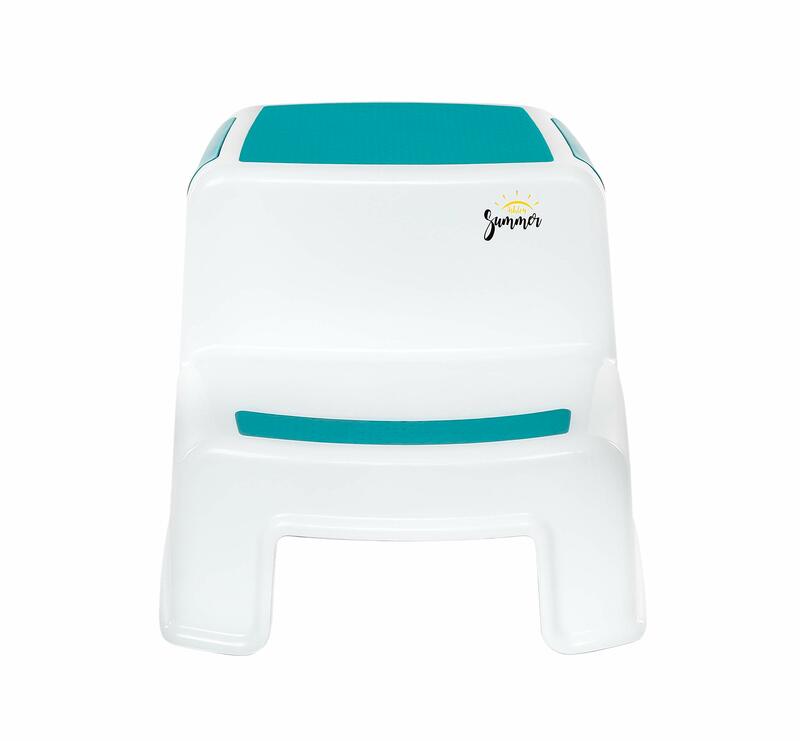 STYLISH, DURABLE & LIGHTWEIGHT: Ashley Summer dual height step stools for children are lightweight allowing kids to carry the stool on their own. It is also stackable, and built to last with a reinforced plastic that can hold up to 180 lbs. Our new custom design and Teal color will look great in any room. These multipurpose stools can be used anywhere in your home. The dimensions of each stool are 10.5″ High x 12.8″ Wide x 14″ Deep. LIFETIME GUARANTEE: Love them or we’ll buy them back from you, no questions asked! Our customer satisfaction is our top priority!